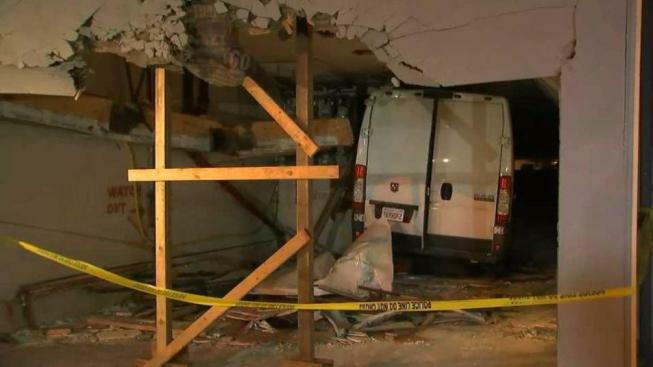 A driver of a van slammed into an apartment building in San Francisco Wednesday morning, suffering life-threatening injuries in the process, according to police. Pete Suratos reports. A driver of a van slammed into an apartment building in San Francisco Wednesday morning, suffering life-threatening injuries in the process, according to police. The crash occurred around 3:30 a.m. along the 400 block of Arguello Boulevard, police stated. The driver may have fallen asleep at the wheel before the crash, according to police. Anyone with information is asked to call 415-575-4444 or text TIP411 and start the message with SFPD.